Yarn used is half a skein of Malabrigo Worsted on 6mm needles. My wrists are quite wide, but the size isn’t very precise. If your wrists are very small you might have to cast on a few less stitches. Use 2 circular needles; here you can find out how. Knit in the round 46 rows. Turn the piece around and knit back-and-forth (so no longer in the round!) in stockinette (knit 1 row, purl 1 row). 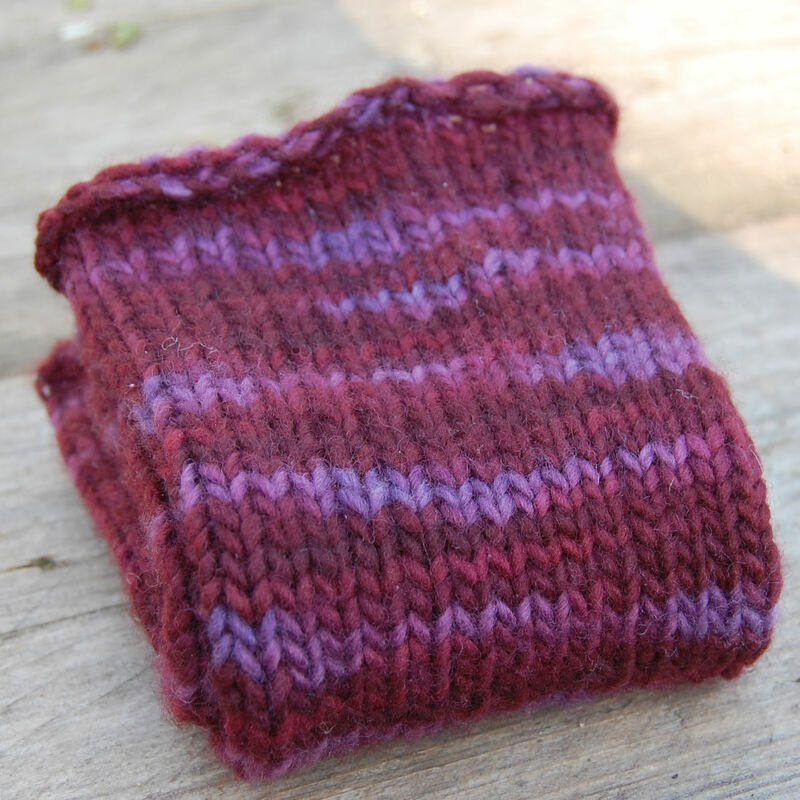 Start each row (including the purl ones) with 1 knit stitch. 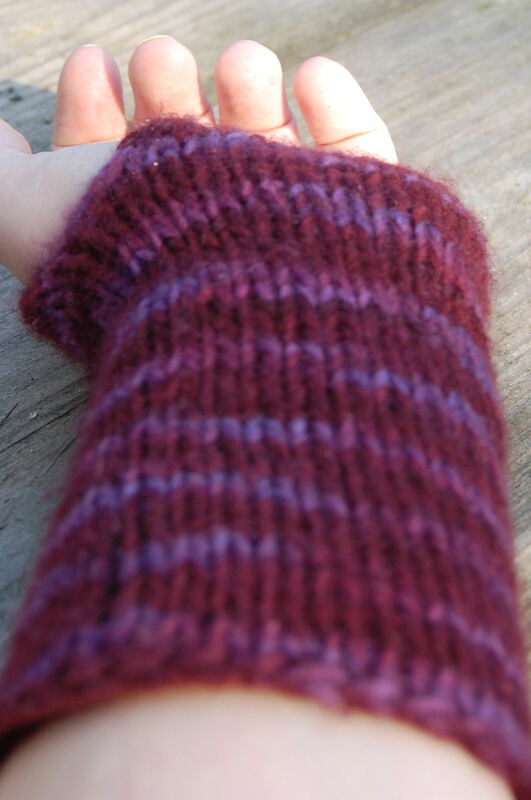 After 8 rows, return to knitting in the round (now you should have an opening for the thumb). Done! Warm wrists for you this winter!